Winter holidays create our favorite time of year, but they can also be the busiest time of year. In the middle of all the baking, turkey basting, decorating, and "Elf" quoting, sometimes all we want is quiet, sweet relaxation. Unfortunately, in the midst of holiday gift shopping and limited vacation time, a trip across country can be hard to come by, at least for a few more months. In celebration of Thompson's grand opening, this month Steph and Paul (the hubs) were able to enjoy a little pre-holiday staycation– the calm before the storm. With its residential feel and inclusive ambiance, Thompson quickly proved to be a stylish retreat from the hustle and bustle, and the perfect home away from home. 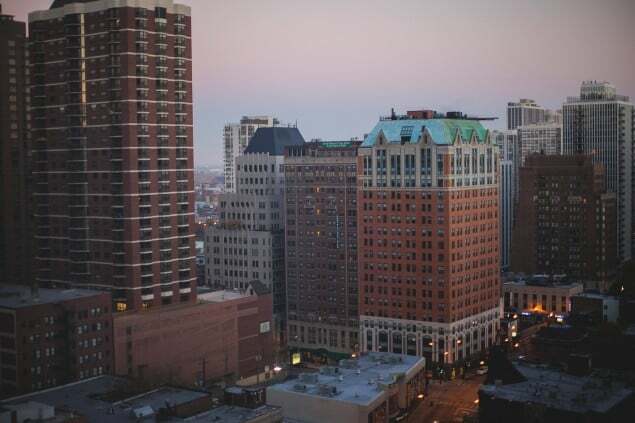 Set in the heart of Chicago's Gold Coast, Thompson boasts breathtaking views of the city, and presents the perfect local for a stroll down Chicago's Magnificent Mile, or window shopping on Oak St. When the weather's unkind, Thompson's sophisticated and off-beat decor creates a warm and soft invitation to view Chicago's grandeur from the comfort of it's blue velvet chairs (thank you Tara Bernerd). We can only imagine sipping hot cocoa while watching the snow fall! 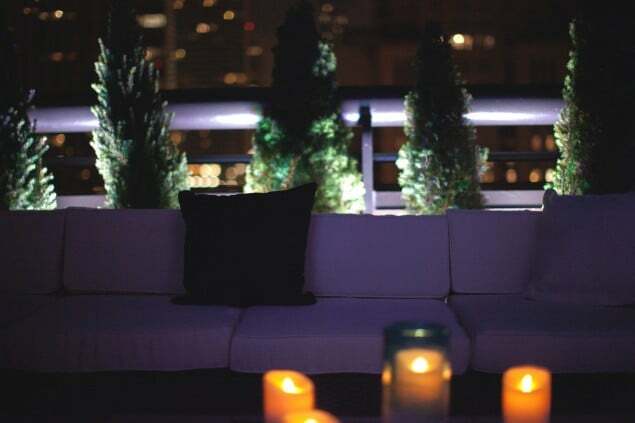 The evening of our stay we enjoy a fun little night cap soirée in one of Thompson's modern and trendy penthouse suites. After some wine and "pillow talk" with friends, the evening concluded with the sweetest turn down service we've seen since our honeymoon. Milk, cookies, and a monogramed bath robe courtesy of Monogrammed Bathrobes. In the crazy calendar we keep, we were set to fly out for Texas early the following morning. While we already had travel arrangements, we'd be lying to say we didn't do a quick Google search for a Thompson Hotel in the area. Truth is we've already recommended Thompson Chicago to our closest family and friends. 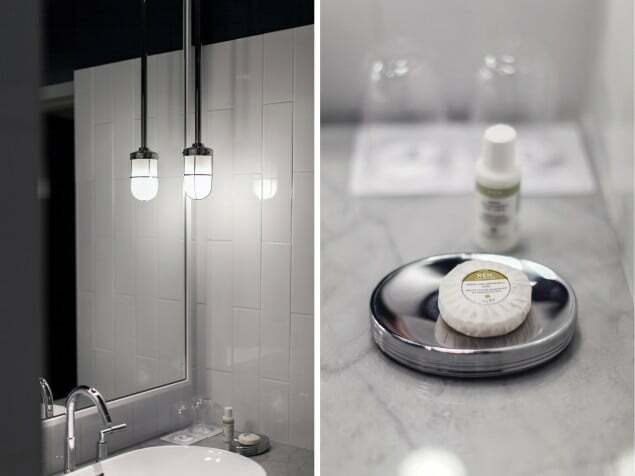 Like most of our favorite things, Thompson Chicago is more than a product/service, it's the extension of a lifestyle brand dedicated to creating an experience in an understated yet sophisticated manner.